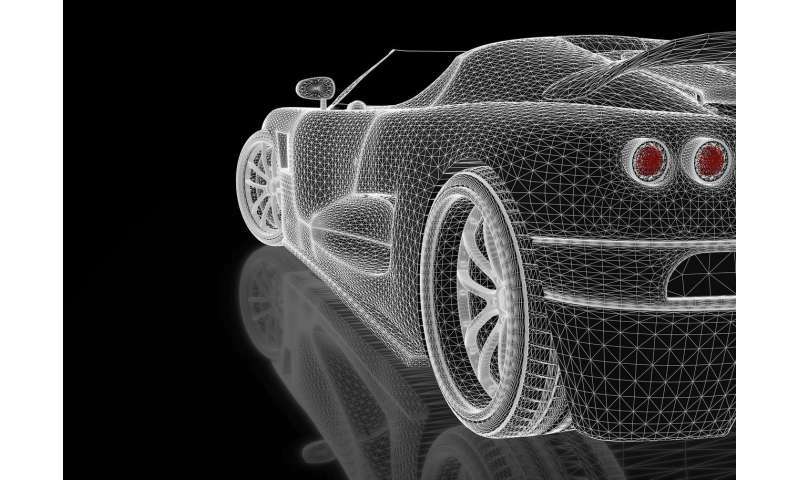 A new material that is as stiff as metal but flexible enough to withstand strong vibrations could transform the car manufacturing industry, say experts from the University of Surrey. In a paper published in Scientific Reports, scientists from Surrey joined forces with Johns Hopkins University in Baltimore and the University of California to develop a material that has high stiffness and damping. The team achieved this near impossible combination in a material by using 3-D woven technical textile composite sheets, with selected unbonded fibres – allowing the inside of the material to move and absorb vibrations, while the surrounding material remains rigid. Researchers believe their new material could usher in a new wave of trains, cars, and aircrafts, allowing customers to experience little to no vibration during their travels. Dr. Stefan Szyniszewski, lead author of the study and assistant professor of materials and structures at the University of Surrey, said: "The idea of a composite the resolves the paradox of stiffness and damping was thought to be impossible – yet here we are. This is an exciting development that could send shock waves through the car, train and aerospace manufacturing industries. This is a material that could make the vehicles of the near future more comfortable than ever before."